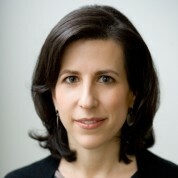 Ronit Avni is an internationally acclaimed social entrepreneur, nonprofit executive, human rights advocate and Peabody Award-winning media producer with 15 years of leadership experience. She is the Founder and Executive Director (2003-2014) of Just Vision, an organization that supports Israeli and Palestinian civilians working for freedom, dignity, equality and human security using unarmed means. Under Ms. Avni’s leadership, Just Vision produced award-winning films (My Neighborhood, Budrus, Encounter Point) that have been seen by millions on TV and in theaters around the world to critical acclaim, an Arabic-language graphic novel, and a growing Hebrew-language news and analysis site, Local Call, that has garnered more than one million readers (1 in 8 Israelis) and has broken numerous stories. Her work has been featured in dozens of major international news outlets, including The Washington Post, BBC, NPR, The Economist, Al Jazeera and The New York Times. Ms. Avni is a frequent speaker in think tank, community, government, international, educational and influential media settings. She has built and managed diverse teams from New York, Ramallah, Haifa, East Jerusalem and Washington. Previously, Ronit trained human rights defenders to incorporate digital media and film into advocacy efforts at the human rights organization, WITNESS. She co-edited the book, “Video for Change,” with senior staff at WITNESS and chairs the Program Committee of the WITNESS Board. Recipient of Search for Common Ground’s Award, the King Hussein Leadership Prize, Auburn’s Lives of Commitment Award and the Trailblazer Award from the National Council for Research on Women, Avni is a Young Global Leader through the World Economic Forum and a Term Member of the Council on Foreign Relations. A graduate of Vassar College with a Bachelor of Arts degree with honors in Political Science, Ronit has completed a certificate in Global Leadership and Public Policy for the 21st Century at the Harvard Kennedy School through the Young Global Leaders Executive Education Program. Currently, Ms. Avni is launching a new initiative at the intersection of Ed Tech and Human Rights and consulting for clients in the NGO, philanthropic, social enterprise and media space. "Teachers play an invaluable role in unlocking human potential and sparking curiosity, courage, creativity, rigor, intellectual exploration and self-knowledge. This prize celebrates their central role in raising thoughtful, ethical and innovative global citizens."